Everyone knows about the massive blockbusters coming our way this summer. This month, "Iron Man 3," "The Hangover Part III," and "Star Trek: Into Dreams" will be among them. Beyond that, there's "Man of Steel," "The Wolverine," "Monsters University," and many others to look forward to. But there's more to summer than just the "summer blockbuster." There are many other movies being released in May – and beyond. Some of these you might have heard of; others you might not have. A few of them are limited releases, which means they may be a pain to track down right away if you don't live in a major metropolitan city. If that's the case for you, check to see if you have a second-run theater in town. They start showing movies a few weeks after their original release date. The ticket prices are usually significantly cheaper (but then again, so are the amenities). The following films are just the ones that have caught my eye. Of course, I have no surefire way to guarantee that all of them – or any of them, for that matter – will actually be good. The only way to know for sure is to see them – or wait for me to see them and check this site after I have. I go out on a limb with a couple of these choices (including one being promoted as "Tyler Perry Presents"), but what fun would it be if I didn't? The Iceman (May 3rd): Michael Shannon ("Take Shelter," "Premium Rush," the upcoming "Man of Steel") will bring his steely gaze to the true story of Richard Kuklinski, a father and husband who worked hard to provide for his family. That isn't anything out of the ordinary, except for one thing: Kuklinski was a contract killer. With Winona Ryder, Chris Evans, and James Franco also in the lineup, Shannon will be going against some pretty heavy-hitters. Peeples (May 10th): Craig Robinson ("Zack and Miri") makes a surprise appearance at the Peeples Reunion to ask Kerry Washington for her hand in marriage, but her family isn't even aware of their relationship. The movie is being marketed with the tagline "Tyler Perry Presents," but that sort of advertising language is usually misleading. He didn't even write or direct it (he does have a producer credit). The actual writer and director, Tina Gordon Chism, was mentored by Perry though – who just about everyone seems to have a strong opinion on – but with a cast that also includes David Alan Grier ("In Living Color"), S. Epatha Merkerson ("Law & Order"), Diahann Carroll ("Dynasty"), and Melvin Van Peebles ("Sweet Sweetback's Baadasssss Song"), "Peeples" certainly has the right people(s) involved. 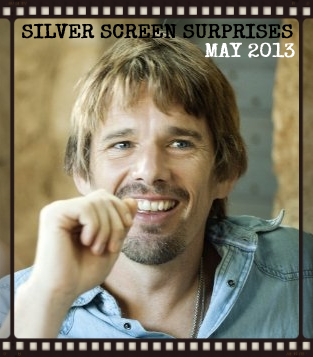 Before Midnight (May 24th): My most anticipated film of the summer! Jesse and Celine (Ethan Hawke and Julie Delpy) met in the original "Before Sunrise" eighteen years ago – all the way back in 1995 – and then reunited nine years later for the improbable sequel, "Before Sunset." They spent the entire duration of both movies walking around and chatting, and it was mesmerizing. I wrote more about all three here. 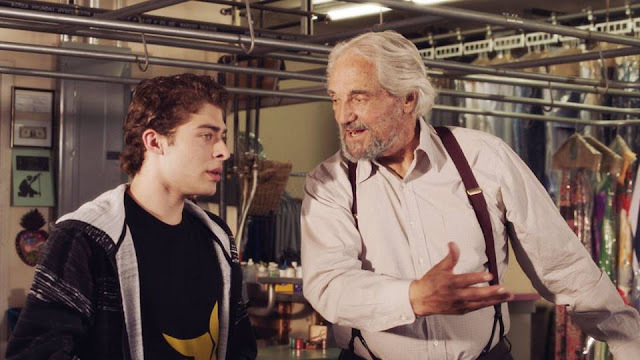 Now You See Me (May 31st): Magicians robbing banks! The premise practically sells itself. I predict this will be the surprise hit of the summer. The trailer shows an elaborate three-part magic trick. 1. A group of magicians perform in Las Vegas. 2. During the show, they somehow simultaneously rob a bank three thousand miles away in Paris. 3. And then they give that money away to their audience in Vegas. How? Like all great magic tricks, I'm hooked and want to find out. "The Social Network's" Jesse Eisenberg leads a cast that includes Mark Ruffalo, Morgan Freeman, Michael Caine, Woody Harrselson, and Isla Fischer. The Kings of Summer (May 31st): A group of teenage boys (Moises Arias, Nick Robinson, and "Super 8's" Gabriel Basso) run away from home and build a house in the woods. A concept like that really could go either way (the silly character names – such Joy Toy and Biaggio – aren't exactly promising), but the movie looks like it could be light fun. The Purge (May 31st): For one night of the year, people are legally allowed to commit any crime they want. A family – led by "Before Midnight's" Ethan Hawke – has to protect themselves from the madness just outside their doors. It's a tantalizing idea. Horror movies these days are usually hit or miss, but Hawke rarely appears in junk. The East (May 31st): Major corporations are being attacked by a group of anarchists, which include Alexander Skarsgård ("True Blood") and Ellen Page ("Juno"). It's up to Brit Marling ("Arbitrage") to infiltrate them. The movie seems to have a very creepy vibe. Patricia Clarkson ("Good Night, and Good Luck") and Jason Ritter ("A Bag of Hammers") are also in it. Of these, I am most excited about "The Hangover III" and "Star Trek Into Darkness," but the "Iron Man" Trilogy is on my to-see list as well. "Gatsby" is growing on me, too – my bad memories of the tepid Redford version notwithstanding (the book, of course, was better). I'm about half and half when it comes to the Jaden Smith-Will Smith vehicle "After Earth" (and yes, they're billed in that order).